The selection and preparation of food, the accompanying wine, the social discourse around the table or by the fire, have been intrinsic activities amongst humankind since they arose on this planet. While we often go through the routine of snatching a quick meal to ease the hunger pangs, there are times when we give justice to this primordial social occasion. 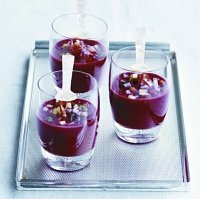 When we have occasion to celebrate, food, with its associated drinks, is central to the event. When we make time in our modern, hurried lives we return to our natural roots by giving space to that deep-seated social affair – The Meal. 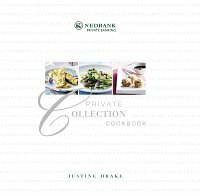 The Nedbank Private Banking cookbook, Private Collection, is an exclusive collector’s item, a once-off publication that is not available in the general market. The book is divided into brunch, lunch and dinner because I think that this is really how we eat these days – it's less about soups, starters and desserts and more about creating a mood and cooking to complement it. There are fewer rules and thus more scope to create, invent and delight. Cooking is not an exact science and recipes are a guideline; add or omit ingredients and flavourings as you see fit. Lemon juice should be fresh, as nature intended, and not out of a bottle. 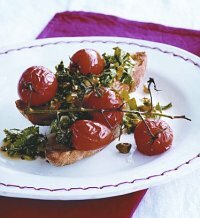 South Africa produces some of the world's best olive oil, use local products and stick with virgin or extra virgin. Mayonnaise is not salad cream and these are not interchangeable. Go for the best, creamiest mayo you can find and worry about the calories another day. Bottled anchovies are usually better quality than those in tins – spend a little more to please your taste-buds a lot more! 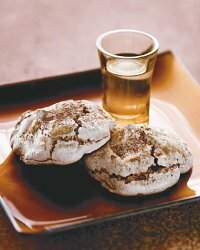 When it comes to vanilla, use extract not essence – the flavour is far superior. When it comes to chicken and eggs, free range is the only route to travel –-the birds are happier (bless them!) and it goes without saying they taste better. As for egg size, use jumbo or extra-large. Last, but not least, follow you heart and cook with love; it's a failsafe method. Justine Drake is an accomplished South African food celebrity: journalist, TV personality and widely published author.